Here comes the hot dubstepper! 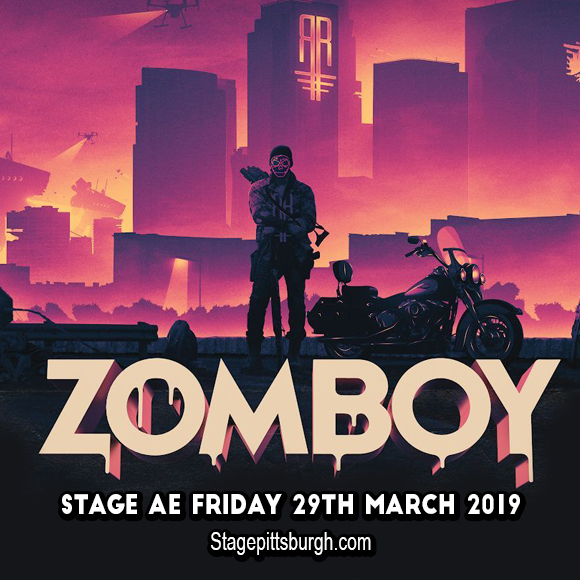 DJ – Record producer Zomboy is moving in leaps and bounds on the live concert circuit. One of his North American gigs will take him to the Stage AE on Friday, 29th March 2019. He'll take you on a wild spin as he hurls off a barrage of drum and bass, electro and dubstep beats. With hordes of his followers going on a trance-like pursuit for tickets to the show, the 'sold out' sign will definitely be up very soon. The best move is for you to secure your spot on the floor. Claim your space by taking on easy and simple steps to book your tickets. Start by clicking on 'buy tickets'. Simple, easy and sure-fire way to catch Zomboy! English DJ and record producer Joshua Mellody go by his moniker Zomboy. A name that aptly projects his EDM – dubstep poster boy persona. His mad DJ skills that enabled him to create high-intensity beats right in his own bedroom, has now been amplified to a mega-decibel fold, now heard and experienced by audiences across EDM festivals, stadiums, concert venues. Thanks to the power of social media and digital technology, Zomboy initially gained a cult following in the U.S., but his career truly sky-rocketed to dizzying heights when he moved back to his native country, the U.K. His most notable start-up works include remixes of the electro house version of Rihanna's"Only Girl (in the World)," and a dubstep remix of Ellie Goulding's "Little Dreams", which gained numerous eyeballs on Youtube. In 2011, his self-penned and self-produced track "Organ Donor" from the Game Time EP, got him into a major label signing. In 2014, his debut album, “The Outbreak” was released, which materialized into a massive 28-dates tour across the US, along with opening acts like Cookie Monsta, Never Say Die's Eptic and drum and bass artist TC. Zomboy has traversed on this trail-blazing career path, and he isn't even on his prime as of yet. His star continues to rise so this is the best time to catch him live and in the flesh. Just follow the beat. It is pounding and leading you to click on 'buy tickets' now!